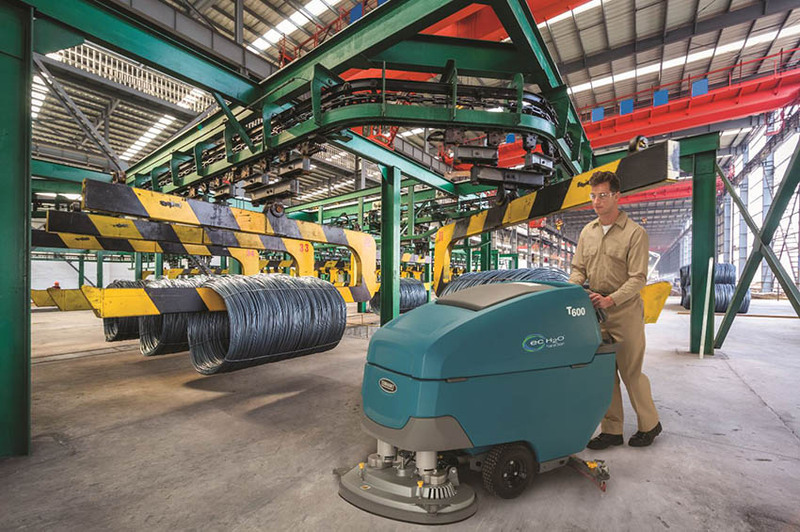 Leading industrial cleaning equipment solutions provider, Goscor Cleaning Equipment (GCE), has launched the new Tennant T600e walk-behind floor scrubber in South Africa. The first units of the model arrived in the country in the fourth quarter of 2018. The T600e forms part of the T600 family, which also comprises the T600 and the T600EE. However, Peter Esterhuizen, National Sales Director at GCE, says only the T600e will be readily available for the South African market and the other two models will be available on demand. GCE is targeting the BSC, industrial and warehousing sectors with the new T600e. “The T600e replaces the 5680, which was a trusted and loved unit in the industry, renowned for its robust and durable build,” says Esterhuizen. The new T600e comes with an innovative suite of technologies and productivity-boosting features to drive cleaning performance and efficiency. The new industrial-strength scrubber offers an ideal solution for cleaning companies looking for consistent quality cleaning results they can count on even in the harshest of environments. The scrubber promises to deliver the high-quality, high-performance advantages that have become synonymous with the Tennant name. 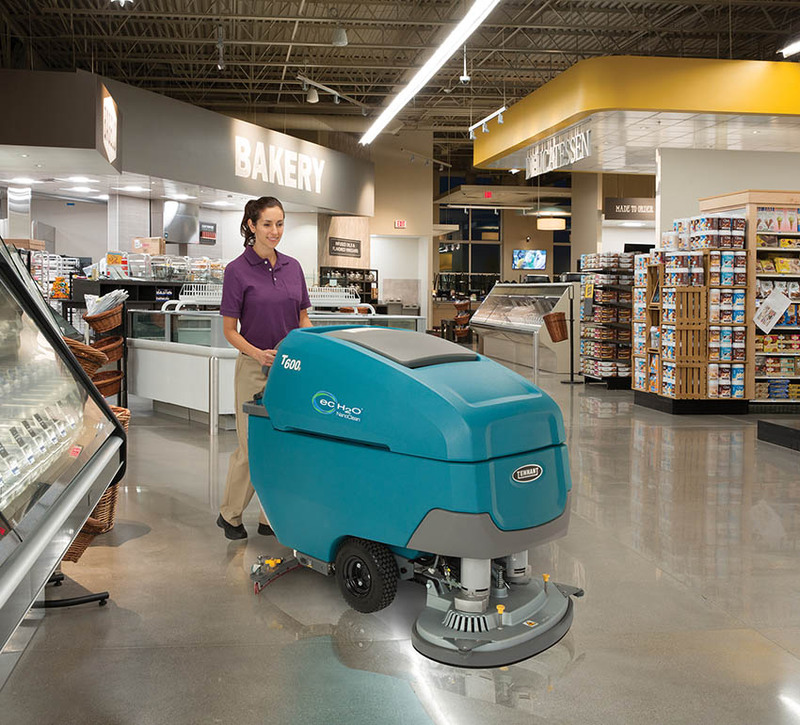 “One of the key features is its increased versatility – customers can virtually clean any hard floor surface with a wide range of cleaning heads, including an orbital option,” says Esterhuizen. A large-capacity 121-litre solution tank and 140-litre recovery tank allow users to scrub longer between empty and fill cycles, thus ensuring longer runtime. Operation is simplified by the easy-to-understand controls featuring variable speed control bail, propel toggle and speed setting within easy reach. Easy maintenance is also a major design focus. “Preventative maintenance is simplified by easy-to-identify yellow maintenance touch points,” explains Esterhuizen. Meanwhile, Tennant’s ec-H2O NanoClean® technology is also available as an option on the new T600e. It electrically converts water into an innovative, detergent-free solution that cleans effectively, saves money and reduces environmental impact compared to daily floor cleaning chemicals. The converted water is created by an on-board e-cell that generates millions of tiny microscopic bubbles known as nanobubbles that promote the cleaning efficacy of the solution. With safety in mind, Tennant is the only company that has a listed Type EE battery-powered floor cleaning machine for use in a number of special hazardous environments.